The swim will take place at Carmarthen Leisure Ctr in the fantastic 8 lane swimming pool. You will be asked to wait the other side of the changing room barriers next to pool side – we will call you to pool side and to the designated lane. TS – 50m / T1 – 150m / T2 – 200m / T3 – 300m. NO PARENTS AT POOL SIDE – Please use spectator area. 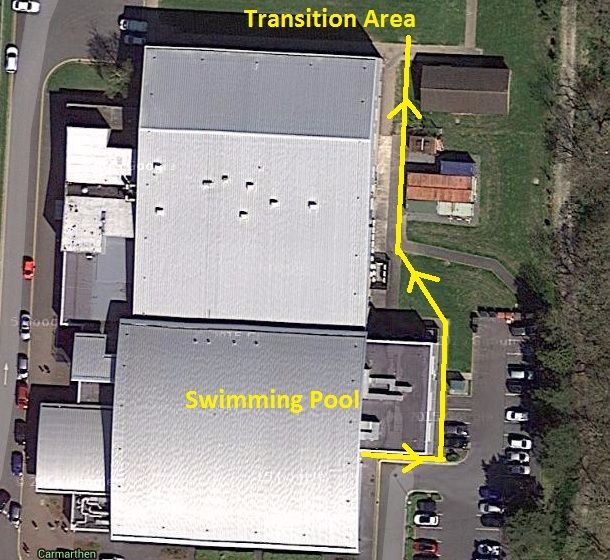 This will be a secured run from the pool to Transition Area. You will cross a timing mat as you enter transition from the swimming pool. Once you have put your helmet on and cycle gear please push your bike to the Bike Out sector. There will be a mount line which will be marshalled – please be mindful of other cyclists on the course. 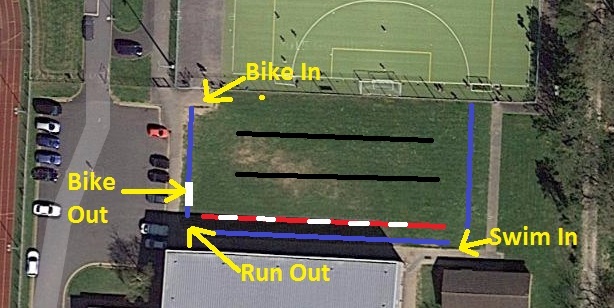 When you’ve completed the required number of laps you will turn left and dismount from bike and push your bike to the racking.After racking your bike you will then need to the top of Transition and cross over the timing mats and run down between the barriers and red/white tape towards the Run Exit. 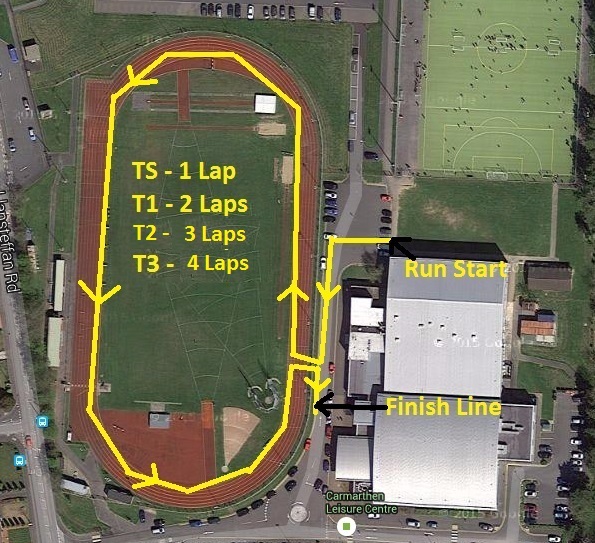 No Parents allowed out on the course – this is for the safety of the athletes. 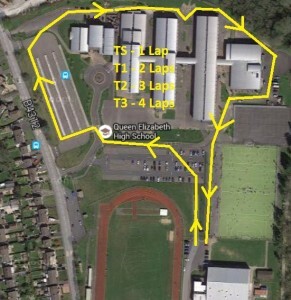 The course will be well signed, marshalled and plenty of red/white tape used. There will be a roundabout created for cyclists to turn around if they are T1 category and above which will be clear on race day and located just outside Transition. When you’ve finished the required number of laps you turn left into Transition.